What ATD Fourth World seeks is that sustainable development fully integrate the components of economic development, efforts to end poverty, and protection of the environment. These three aspects must absolutely be interlinked and coordinated. Now, we hear that a lot in international discourse. We see that it’s a lot harder to put into practice on the ground. 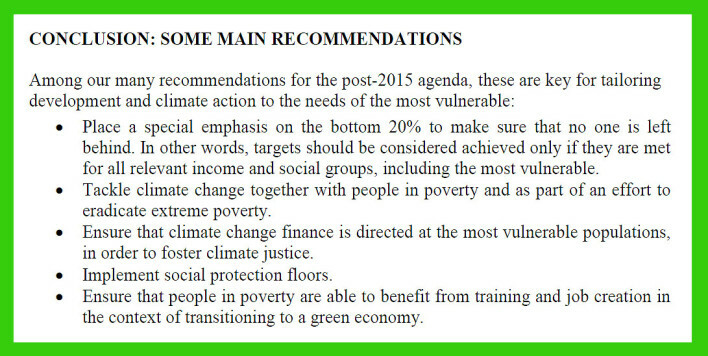 Each video illustrates with grassroots examples one of ATD Fourth World’s five recommendations that are key for tailoring development and climate action to the needs of the most vulnerable. 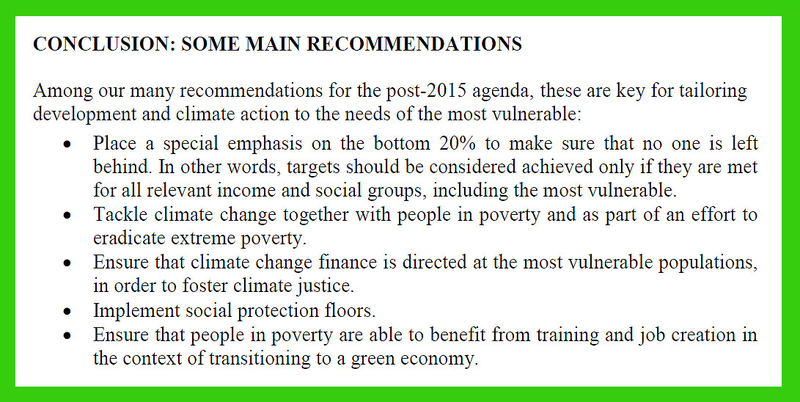 In this video, Recommendation 1: all development projects should use as a starting point the 20% of the population that is deepest in poverty. You can read more about our five climate change solutions linked to the Sustainable Development Goals (SDGs) and poverty eradication in Taking seriously the commitment to “leave no one behind” in the SDGs and the fight against climate disruption. ATD Fourth World’s first proposal is in line with the Sustainable Development Goals (#SDGs) recently adopted by the UN General Assembly for the period 2015 to 2030. This was a large gathering of heads of state who decided, for the period 2015 to 2030, “to leave no one behind.” This breaks with the thinking around the 2000 – 2015 Millennium Development Goals (MDGs) that ATD found marginalized further those most crushed by poverty. 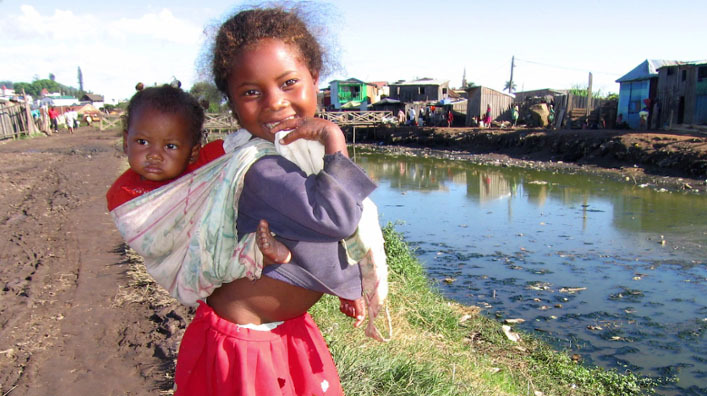 ATD believes that all development projects must use as a benchmark the most-impoverished 20% of the population. UNICEF concluded the same and found that their infant mortality reduction programs are more effective if they target those families most entrenched in poverty, rather than the average. This demonstrates that not only is this idea ethically right, but it is also more efficient. ATD Fourth World put this principle to work in Madagascar and created a successful partnership with local high-tech businesses and youth from extremely impoverished areas. Such a project shows the solidarity possible between the most disadvantaged and those who have more opportunities. It also demonstrates that people thought to be unemployable or unqualified are indeed capable of working in large companies and/or creating their own jobs by starting businesses.